Is It Possible to Delete iPhone WhatsApp Message from Server? How we can delete WhatsApp message from server as every time we send the message to any of our contacts, there occur two ticks. One occurs when the message we send is successfully delivered to the WhatsApp server and the other occurs when the message is delivered from WhatsApp server to the recipient. As we are all aware that once we sent messages, we can delete from our chat box but it cannot delete from WhatsApp messages the server or from recipient chat box. But still, you have trustworthy software to secure your privacies as described at the end. Will WhatsApp Keep Our Messages on The Server? Any Risk? Yes! WhatsApp can keep our messages but for a specific time limit i.e. 30 days. Because the only moment WhatsApp save your message is the moment you send it. The message is being saved on WhatsApp server until it can be delivered to the recipient phone. This might take a while when that recipient has no internet or turned off. If the message is on the WhatsApp server for more than 30 days, then it will be deleted from the server. But there is still the risk for the messages to be saved on a server until 30 days as we cannot delete from WhatsApp messages the server. What are The Commonly WhatsApp Privacy Issues? WEB Malware: Because we use WhatsApp via a web interface, there are people out there distributing bad links that look like real WhatsApp clients, but will saddle you with a bunch of malware. Kaspersky Labs found a number of these suspicious download in a variety of languages. These sites collect information from downloader and distribute malware. Crash messages: It happened with any phishing interruption and your all data can leak. 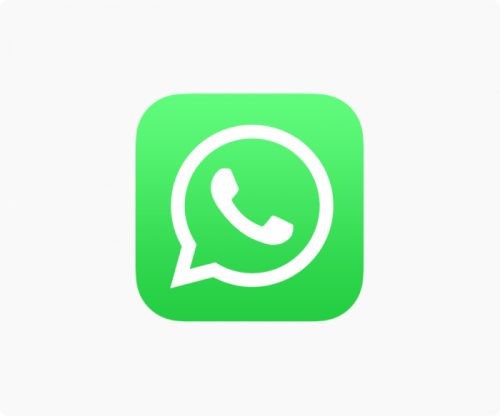 Bypassing Privacy Setting: Maikelzweerink recently discovered that WhatsApp messages and photo data can be views by third hacker party by Bypassing privacy setting. Even If WhatsApp User has settled his privacy setting. Spying on others: WhatsApp messages and other data can be hack by the third party through Spy software junk. WhatsApp end-to-end encryption: As of this technique every message, every video recording, sound recording, every photo exchanged via the app is visible by the parties involved in the communication. 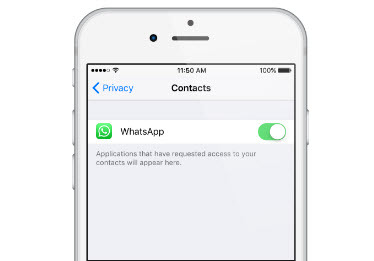 How to Avoid WhatsApp Privacy Leaks on iPhone? With more than 700 Million monthly active users, WhatsApp has an enormous volume of personal information being communicated. WhatsApp chats are more than just simple texts. We all know it; we share photos videos and other account details on WhatsApp. And with so much personal data if you take privacy and security of WhatsApp for granted then it’s a jackpot for wicked minds. Authorities’ advice WhatsApp users by providing top security tips to stay secure on their personal chats. Following are some tips to avoid these types of privacy leaks. 2. Block WhatsApp photos from appearing in photo roll. 3. Restrict access to profile pictures. 4. Deactivate WhatsApp if you lose your phone. 5. Remember to log out of WhatsApp Web. By following the above-mentioned steps/instructions one can somehow overcome privacy leaks of WhatsApp messenger. iPhone doesn't have a permanent option to delete data, but here we have a complete solution to erase WhatsApp data and with no more recovery. That's to take advantage of iMyFone Umate Pro iPhone Data Eraser. It is a tool that helps the iPhone users to erase WhatsApp message completely from iPhone without leaving a single trace. It completely erases messages, photos and videos from iPhone WhatsApp, 100% unrecoverable. You have previews first. It scans WhatsApp deleted files so that you can fully destroy them. 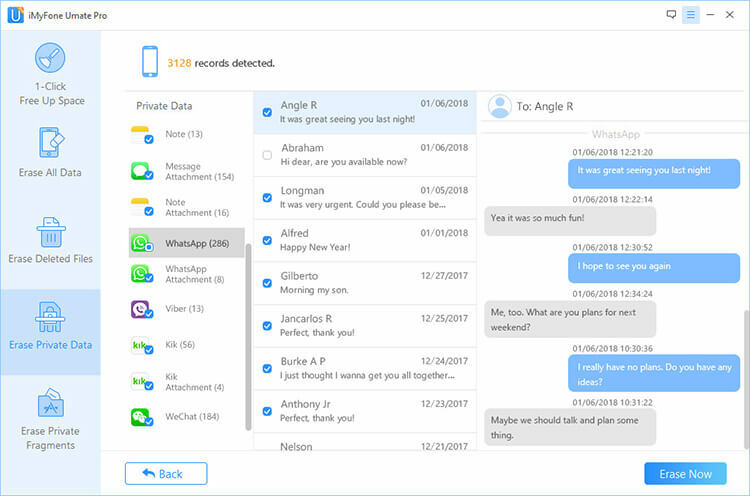 It scans private leftover traces of third-party apps and you can wipe them off for privacy protection. It supports WhatsApp, browsing history, contacts, notes, photos, videos, messages any kind of iPhone data. Step 1: Run Umate Pro on your PC and connect iOS device to PC. Step 2: Choose “Erase Private Data” Mode (If want to erase fragments, go to the “Erase Private Fragments” mode, or if you want to wipe deleted files, go to "Erase Deleted Files" feature). Step 3: Click Scan to see various files on your device. Step 4: Select scanned files according to your choice, like "WhatsApp" and "WhatsApp Attachments. Step 5: Click “Erase Now” to start removal Process. iMyFone Umate Pro's free trial allows you to scan and preview iPhone files. Only when you want to complete the whole erasing process, you need to register it. You would be happy to get a discount for your purchase. Clear Individual Chats: To clear individual chats, swipe on the conversation you’ll like to delete from right to left to bring up some options. From the options select “More” to get the menu. Select “Delete Chat” to delete all the messages associated with that person. Clear all chats at once: By going to the app setting then follow Chats>Select ‘Clear All Chats’. Press Clear again in the next screen and all your chats will be gone.